A collaborative effort from Edutoptia, IDEO, and Riverdale, Design Thinking for Teachers looks fantastic! Week 01 IDEO from Design Thinking for Educators on Vimeo. do you have faith in your ability to look at problems from different perspectives? 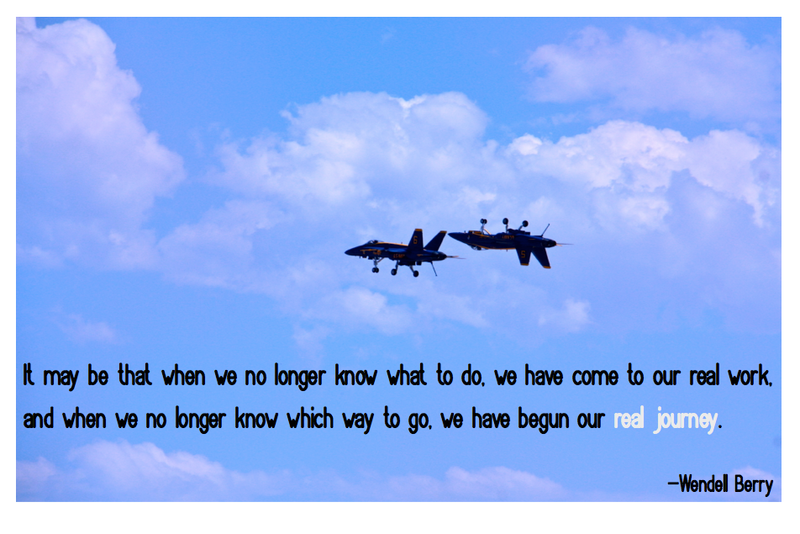 are you inspired by the people you spend your time with to find solutions to make things different? can you use a process to unleash creative thought? I like the simplicity of the process that has been laid out as a blueprint for Design Thinking. That is not to say Design Thinking itself is going to be simple! Design Thinking is thinking in a way that is similar to other goal oriented ways of doing, but this process seems so well designed (naturally!) and the support for teachers to incorporate this into their teaching seems endless! Both of these items take something we are all familiar with and then add something creative, thoughtful, whimsical, interesting and fun. 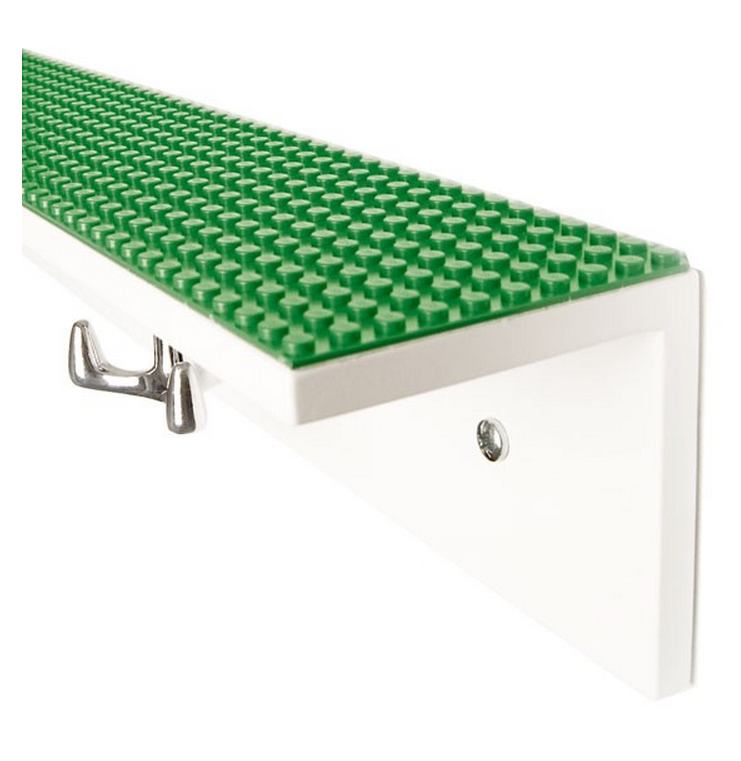 Who wouldn’t want to showcase their lego masterpieces knowing they were not going to fall off the shelf? 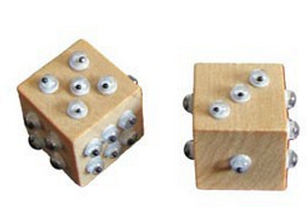 Who wouldn’t want to watch dice roll as the dice “watched” them back! The range of other examples of good design added by other educators is enormous. Move on to step two: download the week one challenge, do it and then post about it. Do this! I have printed it and I am going to do it while I watch some more Olympics! I am tempted not to do it but I think it is good to go through the same sort of process our kids go through. 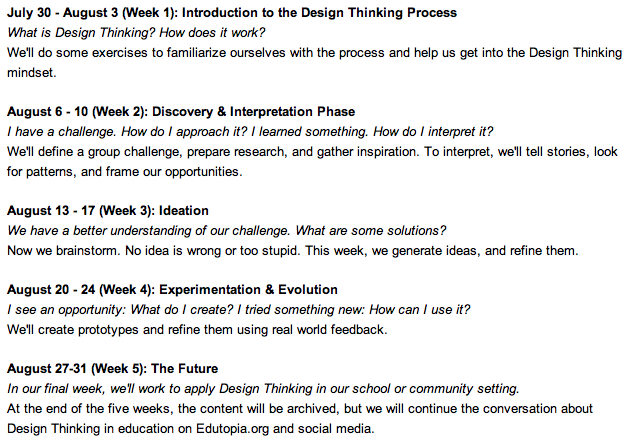 The final part of Week One is to download the Educator Guide to the Design Thinking Process and reflect on it. The guide is phenomenal. Not only does it outline the five phases of Design Thinking (above) it breaks this phases down into smaller steps and outlines why you are doing them, how doing it will impact your overall design, what your desired outcome is and more! It reminds you of the importance of communicating with others who may share the same frustrations that have led you to want to re-design something, it discusses the value of group work and defines this as working with at least one other person, it gives you tips for how much time you might expect to need, and adds in a few suggestions if you get stuck. Quite simply, it is a stunning piece of design in and of itself. I also learned a lot from what other people posted. Having used the IDEO Design Thinking method, I am so much more confident in using it with my kids. Much more powerful to come from a place of “Hey, I have actually used this myself” rather than “I hear this is good…”. It is not too late to sign up – and you can do it while watching the olympics (promise!). Next postPhil Beadle: Pointless, Posh and Boring?